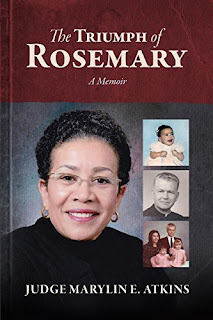 Marylin E. Atkins is the author of the memoir The Triumph of Rosemary. 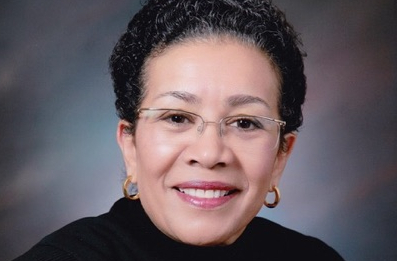 She was the chief judge on Detroit's 36th district court, and retired in 2012 after serving on the court for 21 years. She lives in Detroit. Q: Why did you decide to write your memoir, and how long did it take you to write? A: My daughters had been encouraging me to write my memoir for many years. I was reluctant because I did not believe that my story was worthy of a book. I also was not sure whether I wanted to share with the world the bad things that happened to me during my life. I realized that in order to be true to a project like an autobiography, the bad needed to be told along with the good lest the reader think the writer is disingenuous because no one has a perfect life. After I retired in 2012, I overcame my reluctance and sat down to write my story. I started writing on December 19, 2016, which would have been my 50th wedding anniversary and finished May 19, 2017, five months later. I wrote on the average of 12 hours per day. Q: Did you keep a journal over the years, and did you need to do much research to write the book? A: I did not keep a journal over the years. When I sat down to write, all the memories came flooding back not only in chronological order but in great detail. The quotes from everyone in the book are about 90 percent verbatim. I attribute my recall ability to the fact that as a child taking piano lessons, I had to memorize 32-page Beethoven Sonatas which trained my brain for life to remember events in detail. Q: What do you hope readers take away from your life story? A: I hope readers take away from my story the belief that when you face challenges in life that may seem insurmountable, they can be overcome if you believe in yourself. Then make a plan, believe in the plan and work the plan no matter what the world says and tackle each challenge head on until you have successfully overcome it. A: My family members love my book. They applaud me for having the courage to write it and they appreciate my honestly, my humor and my love for all of them. I am especially proud of my daughters, Elizabeth and Catherine, who through their own writing and publishing company, edited and published my book. I wrote every word myself which I did not think I had the talent to do because my writings have been linked to my career in law. My daughters are proud of the life I have led and the life lessons that their father, Thomas Lee Atkins, and I taught them. A: I am not working on any book at this time. A: I would like to add a note of encouragement to those readers who believe they have a story to tell. A memoir is not only a book to share with the world, it is also a history book to be treasured by your family and to be shared and appreciated by future generations. So write your story!!! !